The first family meal of the year had to be in a special place. 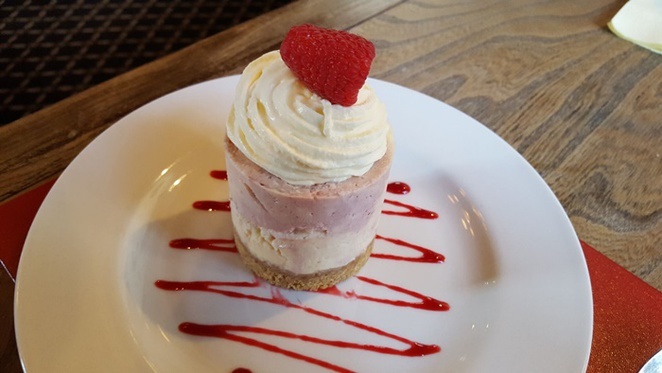 Avoiding the city centre buzz on the weekend, we went straight to Mere Green, in Sutton Coldfield, to try some food around. 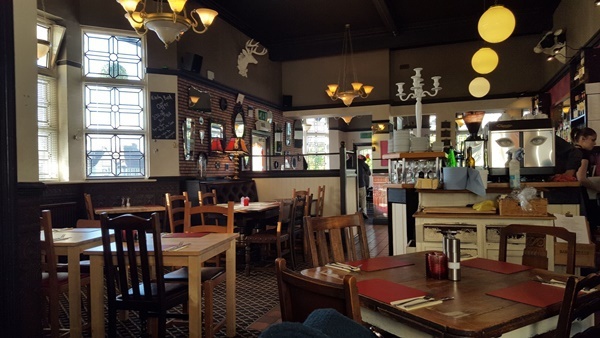 I had heard good reviews about The Butlers Arms before, so it was about time to try the family owned pub. I had a table booked at Butlers Arms for lunch time on a Saturday afternoon. At first sight, the place seemed to work as a successful restaurant indeed, with the staff as busy as a bee. The selection of drinks with homemade gins, a good range of ales and a respectful wine list was really impressive. 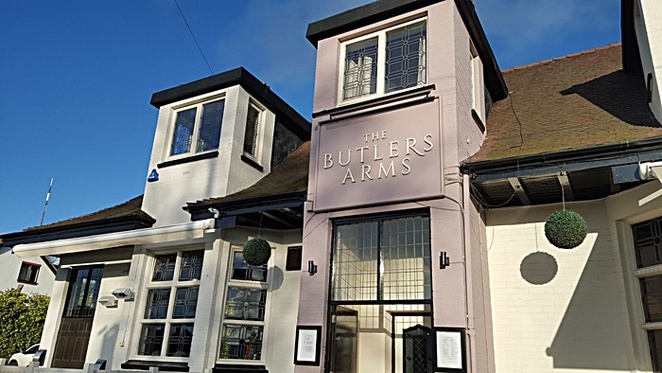 When I sat down and asked for my first glass of prosecco, I noticed that Butlers Arms really was"a proper local pub with few twists". Its eclectic décor featured a mix of modern with traditional furnishing. I simply loved the funky purple sofa. I had checked the menu before just to have an idea of what to ask for, but it didn't work at all because everything looked so delicious. 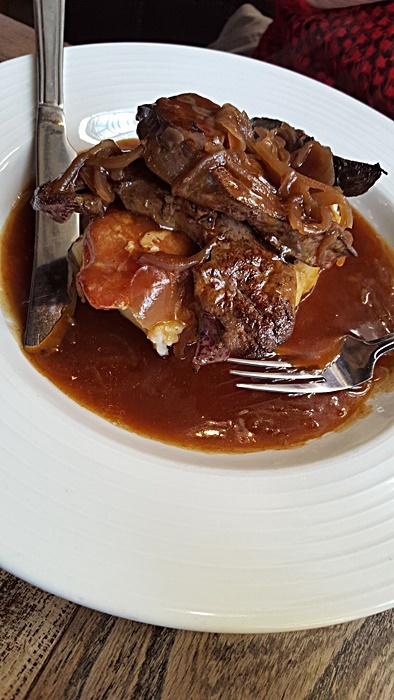 I decided to skip the starter and selected Medallions of fillet steak (served with Madeira sauce and dauphinoise potatoes). Irresistible! 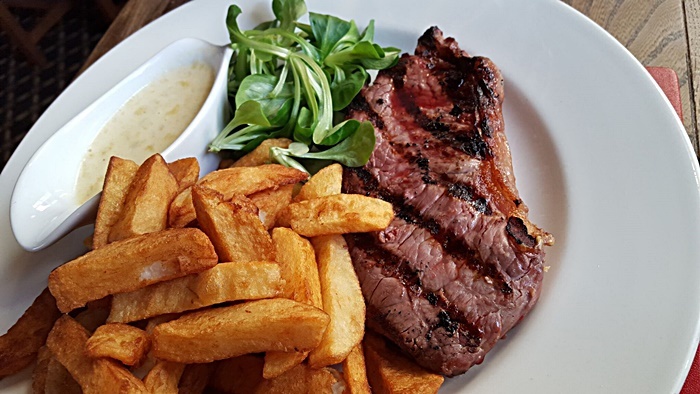 My two companions had gone straight to the mains too, asking for a Pan-fried lamb's liver (with smoked bacon, creamed potato and onion gravy) and an 80z Sirloin steak (with chips and blue cheese sauce). The food was really to die for at this pub. They made it clear the food suppliers were local ones and it really made the difference. All flavours, as expected, were delivered and everybody was pleased. My compliments to the chef who was delivering real art in form of home style food. From presentation, to an exceptional choice of ingredients, everything was superb. 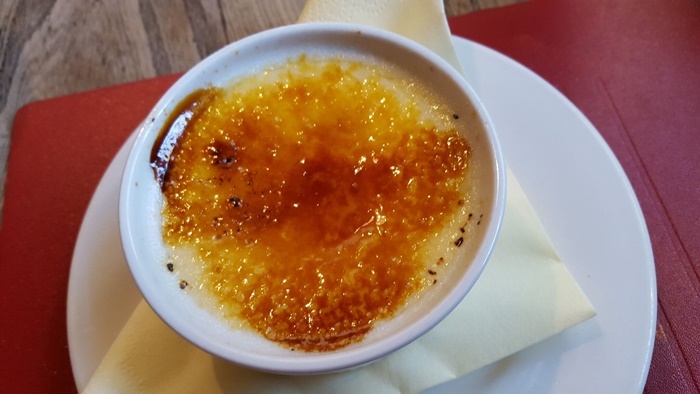 The vanilla crème brûlée and a raspberry cheesecake were the puds of heaven. 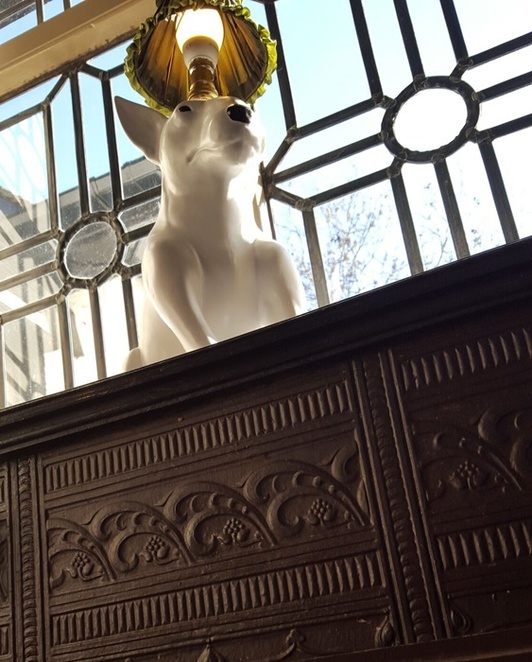 The Butlers Arms is a real must visit! 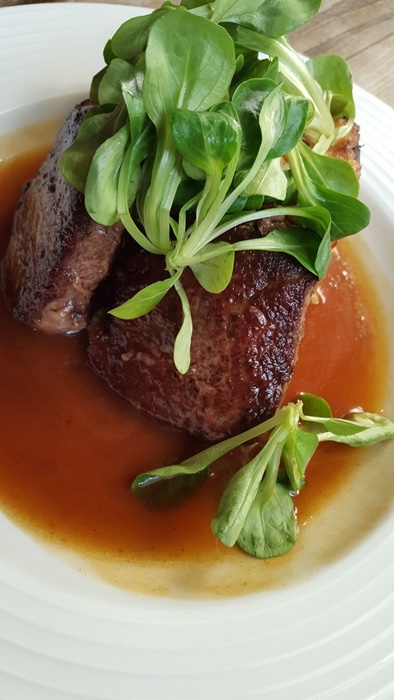 It's all about outstanding food, reasonable prices and great atmosphere. A treat to dust the winter blues off and bring your family together. Go for it, now!